If you are the midst of planning and have decided to attend a bridal show, know that all shows are not created equal. What appeals to some may not appeal to others. It used to be that the only real shows were held in big hotel ballrooms or convention halls but within recent years, smaller or independent shows (like Indie Wed) have begun popping up all over. Some shows can be large and give you a lot to look over but some find these shows overwhelming. More intimate shows give you that one on one face time with vendors but often these shows aren’t as diverse and only highlight a few select vendors. If you have the opportunity I would suggest attending at lease one large and one small show in your area. Of course my ultimate suggestion would be to attend Indie Wed! 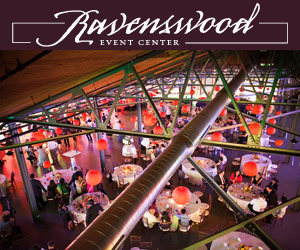 While it is a larger show with over 100 vendors, it isn’t your typical ballroom show. Vendors are juried through an application process (unlike other large shows which will take anyone who pays a high fee) to ensure that we have a diverse group (with style, price range, etc) of small, independent artists and wedding pros. Many of our vendors don’t participate in any other wedding shows because they understand the uniqueness of Indie Wed and the wonderful group of attendees it attracts. If you are attending Indie Wed (or any other wedding shows), you need to arrive prepared so that you can make the most of your time there. Here are some helpful tips. Bring a bag or tote – Vendors will have plenty of handouts and giveaways so bring something you can put everything in. Bring a bottle of water – While food and drinks will be available, it might be nice to have a bottle tucked in your bag. Staying hydrated will keep you refreshed. Wear comfortable shoes – As someone who can attest to spending the day running up and down between all the floors, leave the heels at home and opt for something more comfortable. Contact info labels – Preprinted labels with your name, address, & email will save you from having to fill out mailing lists multiple times. Some people even opt to open a P.O. box or get a special email address just for wedding planning. Bring swatches of fabrics, colors etc with you – When talking to vendors, having something to show them may be helpful. If you use Pinterest to save inspirational images, having their app on your smart phone may also allow you to show vendors what you have in mind. Have your calendar handy – bring your datebook or calendar with you as this is a perfect time to set up future appointments with vendors. Have any other good tips? Leave them in the comments section below. I think this article from Zankyou Magazine is a good compliment to your article. I didn’t see you guys on the list, you should contact them to get on!